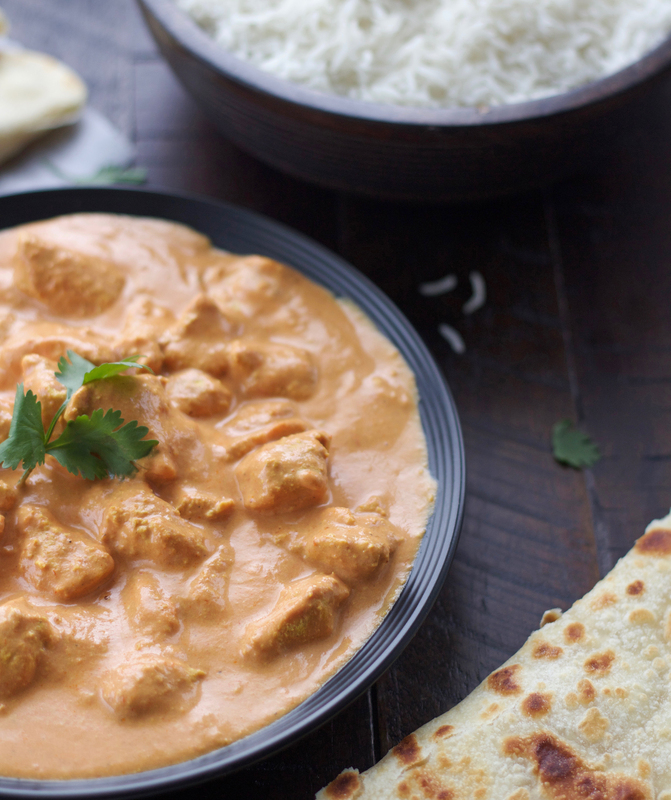 This Butter Chicken is one of the simplest curries you can make. It’s so crazy good and comes together in no time at all. You’ll want to drink the sauce! As promised, here is the Butter Chicken I mentioned in my last post. I’ve been dying to share it with you. I love Indian food. My husband is the one who convinced me to try it years ago. I was hooked after the first time. 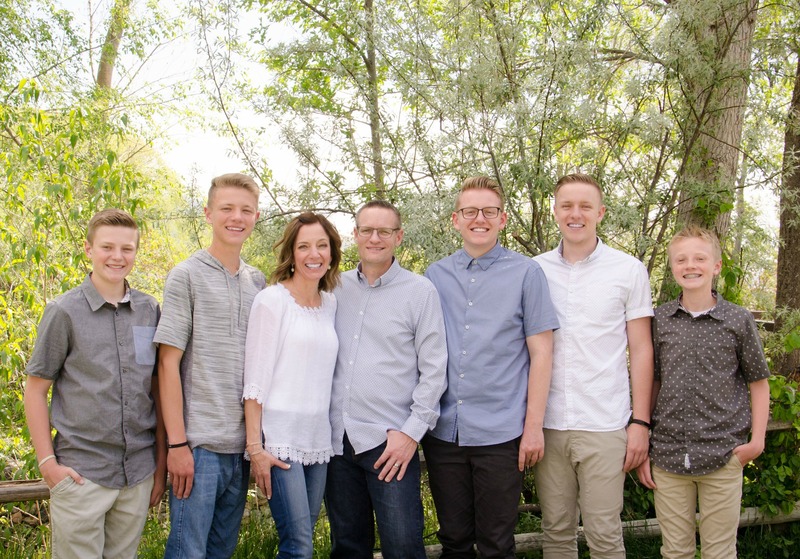 There is so much to love about it. The sauces are amazing. I’ve found myself wanting to just drink them. Random question, am I the only one who thought curry was just the spice used? I just learned not too long ago that curry is actually the Indian-style sauce that meats and vegetables are cooked in. Please tell me I’m not the only one. This butter chicken was devoured the other night. Every single bite and every last drop of the sauce vanished. I thought my husband was going to start licking the pan when it was all gone. I’m 100 percent sure I could give him a glass of just the sauce and he would be in heaven. 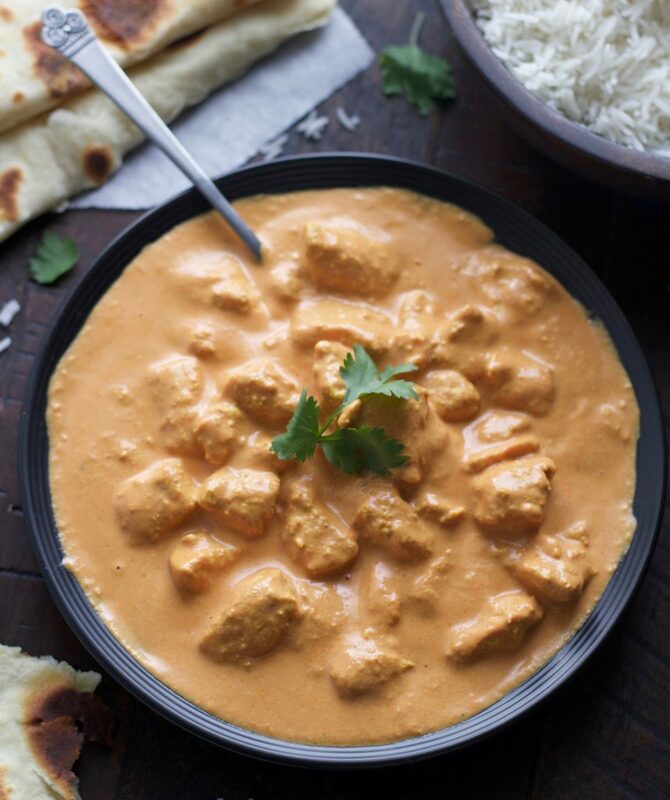 The flavor of this Butter Chicken is honestly out of this world! The beauty of this recipe is how simple the list of ingredients is and they can be found at any grocery store. I’ve seen Indian food recipes that require ingredients that rattle my little brain and would require a trip to an Indian Market. This butter chicken is not like that at all. I highly, highly recommend making this simple No Yeast Flatbread that I posted the other day. It’s incredible and is an absolute must to complete any Indian dish because you fill it with bites of the chicken and sauce. It’s quicker than making naan and so much better than store bought. In a small bowl whisk together the yogurt, lemon juice, tumeric, garam masala, chili powder, cumin, ginger and garlic. Whisk until smooth. Place cut up chicken pieces in a bowl and pour marinade over chicken. Stir until chicken pieces are all coated. Cover and refrigerate at least 4-5 hours or overnight if possible. Heat the vegetable oil over high heat in a skillet. Spoon the chicken pieces out of the bowl (don't wipe or shake off the marinade from the chicken) and place into the skillet. Don't scrape out any extra marinade from the bowl, the chicken will be coated in plenty of marinade. Cook for 4 to 5 minutes, or until the chicken is white all over (the pieces won't brown brown because of the marinade). Add the tomato puree, sugar and salt. Stir well and turn heat down to low and simmer for 20 minutes, stirring occasionally. Add the cream and stir until well combined, remove from heat and season with salt to taste. Serve with rice and/or Naan or flatbread. PLAN AHEAD because this needs to marinate for several hours and overnight is even better. Garam Masala is a spice available at most grocery stores. It can be found it in the spice section. When I make the lighter version of this, because I'm not using all heavy cream, the sauce is not as thick as I'd like. So I will scoop out about 1/4 cup of the sauce and whisk in 1 tablespoon of cornstarch and then whisk that back into the skillet. This helps to thicken up the sauce just perfectly. Tomato puree can be found next to the canned tomatoes. It's different than tomato sauce and tomato paste, so just make sure you grab the right stuff. I did make this one time using "crushed tomatoes in puree" and it turned out fine, so if you can't find tomato puree, then that's an option. Hi Jodi, thanks for the recipe. I have been wanting to try butter chicken myself and your recipe sounds easy and very yummy. Can’t wait to try it. Thanks Paula! I hope you have a chance to try this. It’s so simple to make and absolutely delicious. Let me know what you think. I love Indian food!! This butter chicken recipe is so good! I have a recipe, but your recipe is taking its place! And since I usually don’t have naan, we use the Tortilla Land uncooked tortillas (and of course cook them) and it is a good substitute since we always have these in the house! Very easy and delicious recipe! Thanks Christine! I love how simple this is. You need to make the homemade flatbread to go with this next time you make it. It’s so crazy delicious! Yep, this was pretty much awesome!! Great recipe Jodi!!! Yay Cyd!!! Thanks for letting me know you loved it. Sadie is a smart girl!! So happy to hear you loved it Paula. It is super easy and delicious! Thanks for taking the time to leave a comment, I love reading them. You definitely have to make the flatbread next time. It’s amazing and super simple to make. Take care.